He’s here! Promises and prophecies fulfilled in the Messiah that came to earth in the most humble and unexpected way. Immanuel—God with Us—invading earth in a ‘Conspiracy of Love’ devised from the beginning of time. So today, regardless of how your day is spent, may you feel wrapped in love, blanketed in peace, and danced over in joy. And above all, may you have eyes to see that Jesus is in it ALL! Merry Christmas! Thanks for taking this Advent journey with me! I love gift giving! It is one of my love languages, but as much as I love getting gifts, I also LOVE giving them! All year long I’ll pay attention to people’s likes and the things they’ve mentioned they desire and when it comes time for a gifting occasion, I’m all set! I find so much joy in watching people open gifts I know they’ll love! The thrill of gifting is part of the reason why I love Christmas so much! I’ll be up late tonight wrapping presents I’ve been hiding in drawers and bins for months and I as I wrap them, I’ll be relishing in the thoughts of watching my family open them tomorrow. Beyond the physical gifts, tomorrow we’ll collectively posture our hearts in reverence and gratefulness as we celebrate God’s greatest gift to humanity. YES, we celebrate the receiving of Jesus tomorrow, AND this is only the beginning of a year in which we can posture ourselves to partake in the Divine exchange on a daily basis. You see, your Heavenly Daddy is looking at you—the apple of His eye—with so much delight and He can’t wait to bestow good gifts upon you this coming year. He wants to partner with you in EVERYTHING! He cares about it all! He wants our greatest delight to come from being His kids—so full of love, faith, & JOY! Tonight as you get ready to both give and receive, also get ready for the coming year when you can partner in the Divine exchange all year long! It’s going to be SO GOOD! Last night we heard about a family in our church that had to transport their 2-year-old son via helicopter to UCDavis for a life-threatening condition that was affecting his kidneys. In an instant everything changed and now they’ll be spending Christmas in the hospital while he undergoes treatment. It made me think about all the families that will be celebrating atypical Christmases. Some families will be gathered around hospital bedsides, others will be in mourning for loved ones, and then there are all the families that are in survival mode for one reason or another. Eight Christmases ago we had an atypical Christmas. We were coming out of a dark time in our marriage and everything was fragile. The kids were young and didn’t have much insight, but there was definitely a different Christmas spirit swirling in our home that year. Circumstances had put things into perspective and we were very aware that gifts weren’t of importance. Instead, our hearts were postured in gratitude—over and over we would recite this phrase, “It’s ALL a gift!” When everything feels like it’s fragile and falling apart, you suddenly get jolted into realizing what really matters and you have eyes to see that everything is indeed a gift… your next breath, your spouse, your kids, your time with loved ones, your home, EVERYTHING! And even when things are good, the same holds true—it’s ALL a gift! In two days we’ll be celebrating the greatest gift of all, Jesus given as a love offering to make ALL the messed up, broken, and wrong things right. He became incarnate to give us hope! No matter what you’re dealing with, you’re seen and known. He is our greatest gift and as we fix our eyes on Him, we realize that everything is a gift! Take some time to pray for the all families that will gather for Christmas under atypical circumstances this year. If you’re in a position to help, ask Spirit what that looks like. And if you’re the one in the throws of the unexpected or the ugly, I speak life, peace, healing, and hope over you in the powerful name of Jesus! Today I feel fragile. My spirit is tender and my body feels a little worn. I woke up with intensified lower back pain from a drive down to Sacramento yesterday to experience the Christmas glory of Old Town. This morning our son found out he didn’t make the basketball team at school and as much as we’re proud of him for risking and trying something new, my momma heart feels for his disappointment. And the mall traffic I encountered when I picked up the kids from a hang-out elevated both my blood pressure and my anxiety—no joke, 30 minutes of waiting to turn out of the mall! Needless to say, I felt pretty good about buying cookie dough at the grocery store with the sole intent to eat it without baking (and I felt further justified by the fact it was organic)! I know Christmas is three days away but it’s just ‘one of those days’ and the gloomy overcast weather doesn’t help. Sometimes we just need to be able to lay it all out and cozy up in His love. Multiple times in Scripture there are references to God having wings that cover and hide us. Can’t you see the visual in your head of a momma bird nestling her precious young under the refuge of her wing? It’s the same with our Heavenly Posse… in Their union, They just want to scoop us up under Their wings, love on us, and minister to us in our soft and vulnerable places. Restoring connection and intimacy was the whole intent behind Jesus’ coming. At one point the Divine was nestled in the arms of humanity and because of that, we get to nestle in Divine. How’s your heart and spirit doing today? Are you in need of some cozy refuge? What would it look like to lay it all down and let yourself be nestled under the wings of the Divine? Grab a blanket and sit by the fire or snuggle up in your bed and ask to be hidden in Their wings. Cozy up and allow yourself to be lavished with love! The other night at an ugly sweater party I was chatting with a friend about my miserable lower back pain. There was no initial injury or incident but it’s now been four months and I’ve been seeing a Chiropractor for the last six weeks. On this last visit I was told that a next step would probably be an MRI because I should have had healing by now. I held my tears in until I reached the car and then I let out the all frustration and disappointment. My friend shared how she once had back pain and in a prompting, she began to “speak life” to her back and found that it healed and got better—she recommended I try it too. I remember thinking, ‘Huh? That sounds a little weird, but what could it hurt? I’m already doing ice-packs, stretching, hot showers, and modified postures.’ I’ve been simmering on that phrase “speak life” for the last few days and here are my thoughts... Immediately Proverbs 18:21 came to mind, “The tongue has the power of life or death.” There’s no middle ground—we’re either speaking life or speaking death with them. Our spoken words matter and they carry so much power in them. I also thought back to my human development classes from my college days where I learned about the self-fulfilling prophecy in that eventually our behavior mirrors what is spoken to us or about us. This is no different. I can let my pain be my focal point and continue to complain and make comments about the (very real) discomfort, or I can catch myself and instead speak life over my body/back in phrases like, “I declare life over my back.” “Back, I bless you.” or “It’s not always going to be like this, you are on the road to healing.” Words can either create and catalyze or tear down and destroy. Remember, the Holy Posse SPOKE creation into existence and angels used their words to SPEAK the great Conspiracy of Love into action with a visit to Mary. No matter what, our words are weighted so we might as well let them be saturated in life. What areas of life do you need to “speak life” to in this season? Take some time to dwell on this (repent for any words of death if you feel the need to do so) and come up with some words of life that you can use. You are powerful and your words carry life - let’s be Daughters that speak the Kingdom of God into existence - on Earth as it is in Heaven! Do you ever feel like preparing for Christmas is like getting ready to go into a short-term hibernation? Aside from going to church on Christmas Eve, we’re planning on hunkering down for a good 2-3 day stretch. It’s the first Christmas that we aren’t traveling to be with family and so we’ll just be hanging out, watching movies, and putting together a 1000-piece puzzle. As a daughter of a list-maker, I’m going into ‘list mode’ with last minute shopping lists, menu lists, grocery store lists, and lists of to-dos. Some lists are on my phone and others are mental but regardless, they’re all taking up some sort of space in my mind and my soul is starting to feel a little heavy. Today I heard His gentle whisper... ‘Make room!’ I feel it—I need to pull back, slow down, and realign my soul with my spirit. Yes, Christmas is about the lights, songs, joy, laughter, gatherings, celebration, and gifting, AND it’s also about making room for the the quiet moments, gentle whispers, and a fully aligned heart. When I heard, ‘make room,” I also asked myself, “What would have been different had the innkeepers made room for Mary and Joseph?” In their fullness and busyness, the innkeepers missed out on partnering with the Conspiracy of Love, meeting the Christ child, and seeing the glory of God up close. I don’t want to miss out on the small blessings, up-close encounters, or holy moments just because I didn’t make room. What stirs in your heart when you hear ‘make room?’ How can we pull back and make room for Him today? What would it look like to set aside time each day for the next five days to make sure our hearts are aligned with the Father? I love Christmas cards. So much so that I tend to keep all the cards we get displayed year-round just so I can see the faces of those we love. We usually send out New Year cards, so each year as we get Christmas cards I double check the return addresses to make sure my spreadsheet is up-to-date. This year I’ve counted over 20 close friends and family that have moved in this last year. People are on the move… across town, across states, across the country, and some across the world. We’re one of those that have moved across states—we’re getting daily texts requesting our new mailing address. I don’t know what’s normal, but I will say, I think there’s some big shifts taking place. People are moving to take job offers, pursue dreams, chase callings, and be obedient to Spirit promptings. For us, there was this undeniable calling and prompting to enter a new season in a new place. It was bittersweet but the peace was in the going and not the staying—we had to honor that. That seems to be a resounding feeling. One of the amazing families we’ve gotten to know in our time here is moving across the country next month. As much as we’re saddened to see them go, we know this open door and job offer has the orchestration of the heavenlies all over it. God’s doing some big things in the world right now and He needs His people—from ALL sectors of life—to be flexible and ready to ‘go’ whenever He beckons. Think about the Christmas story...the Wise Men had to be willing to go when they got the prompting, the Shepherds wanted to see the glory that had been revealed for themselves, and once Jesus was born, Joseph and Mary had to take a detour to Egypt because King Herod got a little crazy. They all listened to the Spirit, trusted their intuition, took risks, and remained flexible. And because of that, they got to partner with God in what He was doing! Let’s remain Daughters who are able to move when the Spirit moves. He is our home! Let’s keep our hearts soft, our ears open, and our comfort in Him alone! And most of all, let’s say ‘yes’ when He tells us to move, even if it’s a bit stretching and uncomfortable. At the beginning of 2017 I remember hearing lots of buzz around 2017 being a year of breakthrough, meaning that things that people had been waiting on and praying over for years would come to be in the current year. All year long, I’ve clung to words I have received from others and Promises from the Lord I’ve found in Scripture. A couple weeks ago, a pastor at church made a bold statement that there would be an acceleration of breakthroughs in December and we’d see MORE breakthroughs in the month of December than we have seen in the previous 11 months combined! I’ll cheers to that! In fact, I’m already hearing testimonies that back this up! Remember when I wrote about ‘expanding your tent’ on Day 9 and specifically spoke to women struggling with infertility? Well, 2 of the 3 women I mentioned have found out they’re pregnant with healthy pregnancies in December! Here’s a testimony: My sister-in-law, who has been trying for a second child for 18 months, reluctantly took a test last Wednesday. She was losing hope, especially after losing a baby in a miscarriage in June. She was convinced she couldn’t be pregnant because according to her monthly ovulation test, she hadn’t ovulated in November. With a sliver of hope she took a test and at 5am I got texted a picture… two pink lines! God of the miraculous! She had dreams of two children and promises spoken to her when she tried for so long for her first biological child. With giddiness and joy, she is declaring praise and glory to the One who is ALWAYS faithful to His promises! Jesus’ birth fulfilled hundreds of prophecies written in the Old Testament. The Messiah’s coming was outside of timelines, predictions, and interpretations, but He was right on time and He fulfilled EVERY SINGLE promise and prophecy spoken! And guess what? He’s unchanging! Don’t lose heart, remember, not only is Christmas a miracle-making season, but there’s a special anointing on this month where the Heavens are a little closer and the miraculous is being released everywhere. A lot can happen in 13 days... let the breakthroughs and the “Amens” ensue! Where are you needing a breakthrough? Make a bold declaration (out loud) for that breakthrough! Speak hope to your heart and PLEASE, share your testimonies in the comments below when you find your breakthrough! A few years ago, one of my cousins wrote the following quote by Hamilton Wright Mabie in her Christmas card: “Blessed is the season which engages the whole world in a conspiracy of love.” I cut the quote out and kept it on my fridge until we moved from CO to CA last year. Conspiracy of love… doesn’t that just resonate? There are reminders of that conspiracy everywhere you go during this season. As I walked through the mall the other day, I was surprised to see a huge brightly colored banner with the manger scene hanging from the ceiling. It caught be off guard because in my experience, malls are usually filled with santa, snowflakes, presents, and messages of ‘Happy Holidays.’ A few days later, as I waited at Best Buy for an online pick-up, I heard some Christmas song with the lyrics “Jesus, Son of God” blaring from the loudspeakers. Again, I was taken back hearing these lyrics in a chain retail store, but then I remembered this quote and thought to myself, ‘Of course!’ Of course love Himself would sneak His way into malls, retail stores, movies, shows, and songs. Of course peoples’ lips would proclaim His name in a Christmas carol. Of course the whole world would declare and pronounce the birth of Christ because that’s what the holiday is all about! Isn’t it wild that for one month a year, most of the world comes together to sing songs about love, joy, peace, angels, and Christ (and it gets past the religious filters)? Since we’re already Believers of the conspiracy, we get to partake in the conspiracy this season! Everywhere we go, we’re invited to take part in the secret plot to fill the world with love—the conspiracy that first came swaddled as a babe. What could you do in this last week before Christmas to engage more fully in the conspiracy of love? What secret plot of love could you partake in that would spread joy or shower someone with love? Come up with a plan and then execute your covert mission with a joyous smirk! I’ve been spending a lot of time in the garage the last couple days painting a Christmas present for my mom. Instead of putting on a podcast or cranking the tunes, I’ve decided to work on the project in silence. I’ve heard the howling of the wind as it’s blown through the bushes next to the window and rattled the garage doors. There’s something about the wind—like the ocean—that connects you to the vastness of creation and makes you feel small! In the windy silence it’s just been me and my thoughts. I’ve been conjuring up ideas and getting “Divine downloads”—inspiration and strategies for current struggles and ‘stuck places.’ I’ve been thinking, ‘Why don’t I do this more often?’ I’m constantly moving from task to task during my days and even when I’m in the car, running my kids around like an Uber driver, I have music or a podcast playing. With all the busyness and the sensory bombardment, we have to be intentional about unplugging from the noise everywhere in order to listen… to Him, to our hearts, to the people around us. If you think about it, we have double the organs for bringing in information (ears and eyes) than we have for giving out information (a mouth). When you think about the Christmas story, think about how much hinged on open ears… Mary heard from an angel, Joseph heard from an angel in a dream, the Shepherds heard from a host of angels, the Wise Men saw a star and had to have heard some prompting or message. I don’t want to miss out, especially on hearing from Heaven. 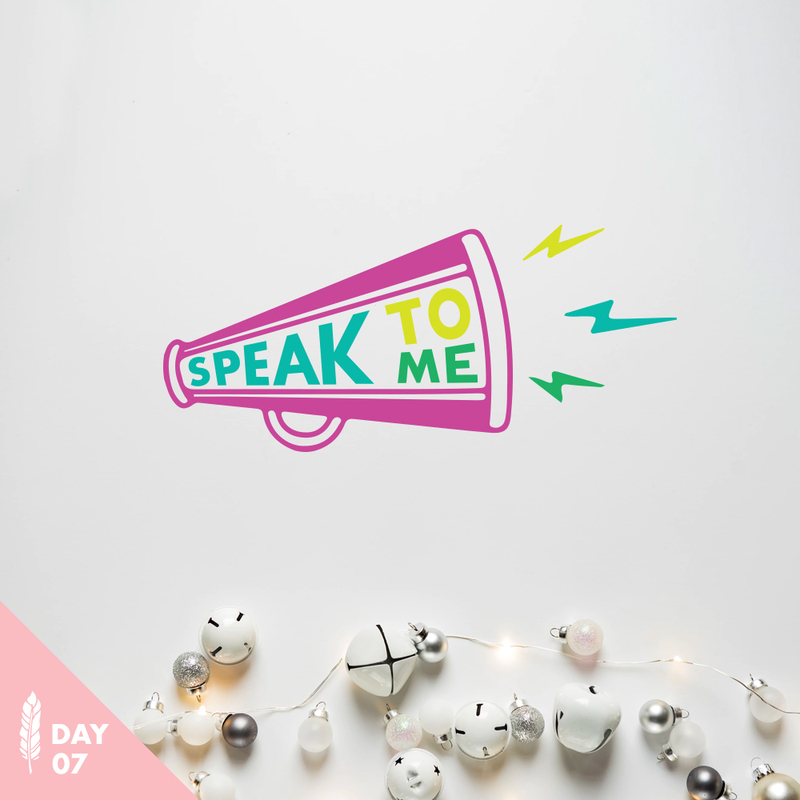 I know I’ve talked about having ‘eyes to see’ on Day 12 but it’s equally important to have ears that hear and I would say that it takes much more intentionality to silence the noise around us so that we can hear. Where do you need to turn down the volume around you so you can listen? What would it look like to steal away from the busyness and the constant noise in your life to make space to hear from Heaven? I was chatting with my electrologist (yes, I see an electrologist for those random hairs that seem to come out of nowhere after you have children and age) today and she was talking about the practice of drawing a circle around yourself and taking care of what’s inside… yourself! If everybody took care of themselves and worked to cultivate a fertile heart where love, joy, peace, patience, kindness, goodness, faithfulness, gentleness, and self-control could grow, could you imagine what the world would look like? The world would be completely transformed by wholehearted and grace-filled people! This personal ‘circle-drawing’ totally resonated with a similar message that I’ve been dwelling on...loving your neighbor AS YOURSELF! Jesus tells us that there’s no other commandment as great as loving Him wholeheartedly and loving others as ourselves. So my question to you is, “How well are you loving yourself?” Because our ability to truly love others is directly tied to our ability to love ourselves. If we’re not loving ourselves then any attempt to love others is an attempt to earn, prove, or soothe. In the hustle and bustle of doing and taking care of husbands, homes, family, coworkers, and friends, it’s so easy to give ourselves to everyone but ourselves. We need to rid ourselves of the thought that loving ourselves is selfish. The truth is, loving ourselves is the precursor to loving others—we love out of the overflow of knowing and loving ourselves. In this season of busy, what would it look like to pull back, retreat, and love on yourself? Ask yourself what you need… Some time to read? A bath? A pedicure? A nap? Figure out what loving yourself looks like today and make space for it this weekend. he other day, Dave and I got sucked into watching almost a dozen videos on Ellen’s YouTube channel with this adorable and incredibly smart little girl who, at the age of three, had memorized the periodic elements (yeah, slightly intimidating! We were mesmerized by her intelligence, but she was also so cute, innocent, personable, confident, grateful, and so captivated by the wonder of science. It was a thrill and joy to watch her and it will be fun to hear about the amazing things she does in the world. Isn’t that how it is for most of us in our youth? We’re wide-eyed in wonder, confident in our abilities, and we believe anything is impossible. But as we age and experience life, if we’re not careful to protect our innocence, wonder, and confidence, it’ll get stolen or we’ll offer it up in exchange for comfort. In Scripture we’re reminded that the Kingdom of God belongs to the childlike—those that hope, trust, have wonder, and believe in the miraculous. Sometimes I wonder if that’s why The Trinity chose Mary to carry and mother the Son of Man? Perhaps as a child herself, she had the innocence and childlike belief to trust and partner with the miraculous? I see it in my kids, they believe ANYTHING is possible. Their faith is growing my faith! As we age and encounter evil, brokenness, and the jacked up things of this world, our default shifts and our childlikeness becomes a choice. We have to fight against the cynicism, despair, and fear by managing our hearts and choosing hope, bravery, and the miraculous. Let’s choose to be childlike! How are you on the child-o-meter? Where is Spirit bidding you to become more childlike? What would it look like to choose hope and intentionally partner with the Kingdom of Heaven in your life? There’s been a lot of 70s and 80s music coming from the bedroom of our son, Asher, who turned 13 today. In addition to watching a sitcom that’s based in the 80s, he’s also a huge ‘Stranger Things’ fan, which is set in 1983. As an 80s kid myself, I’m loving this resurgence of Toto, Scorpions, Cat Stevens, Styx, The Knack, Eurythmics and The Police, but I’m particularly thrilled about Cyndi Lauper! Her song ‘True Colors’ was one of my favorites as a young girl. Even though I was young, it caught my attention because it talked about being “beautiful like a rainbow!” Now that I look back at the lyrics, that song was all about living out of a true identity. As a mom, that’s hands down the thing I want most for my kids, I just want them to know WHO they are and live out of THAT place. And to be honest, it’s the thing I want most for myself as an almost 36-year-old! After all, the redemption plan was needed because God’s children forgot who we were and who God was and so they sent Immanuel (God with Us) to come and remind us. Christ came to make things right so we would know—and walk in—our identities as beloved and cherished daughters. He gave himself so we could BE OURSELVES! I’ll be writing about this more in-depth on Yes& in the coming months, but I encourage you to start an ‘Identity Statement’ if you haven’t done so already. Get a journal or piece of paper and start asking God who He says you are. Make sure to take notes as you hear, feel, and sense. Also, pay attention to Divine truths about identity as you read Scriptures—you can claim any Truth over you. Eventually you’ll put it all in one place (a bulletin board, a printed document, a mirror) where you can see it so you can look at it daily to remind yourself who you are. We actually become what we speak over ourselves! I know it’s Cyndi’s lyrics, but imagine the Father speaking these to you: “I see your true colors and that's why I love you. So don't be afraid to let them show. Your true colors, true colors are beautiful like a rainbow.” The world so desperately needs the color that is only you! The older I get, the more I realize that everything really is spiritual. When my heart is at attention and my eyes are up, I can see God’s glory hiding everywhere… the sunset, the sparkle of snow in the sun, the embrace of my children, the eyes of the woman checking me out at the grocery store, the art graffitied on a building, the vulnerable song on the radio, the healing hands of the chiropractor on my back, the authentic show on Hulu, the earthy taste of a sip of wine, the juicy bite of an apple. The opposite is true when my gaze is down and my focus goes inward… I’m grouchy, short-fused, ill-tempered, impatient, and I find people annoying. God IS light, truth, and beauty and so everywhere we find light, truth, and beauty we can call glorious. I know I talked yesterday about embracing the mystery but the Divine really hides itself in the mundane. Just think about the way the redemption plan went down, the King of Kings entered the world through the birth canal of a teenage girl amongst the stench of animals in a dirty manger—it doesn’t get any more unassuming than that. And in that lowly first appearance, the joy of the reveal belonged to those who had eyes to see. I might sound like a broken record, but keeping our hearts attuned and our eyes up is really half the battle in life. God is waiting to be found and highlighted in everything we encounter and everyone we meet, we just have to have eyes to see. Where do you see the Divine in the mundane? How can you shift your gaze so you have eyes to see more in this Christmas season? Don’t you just love a good twist in a story plotline? As a filmmaker and author, I’m keenly aware that story is king. When I think about the Christmas story, I envision the Trinity conspiring around the writing table—going back and forth over the plotline of their redemption plan. Some things weren’t up for negotiations because they were fulfilling Old Testament prophecies like the Son of Man, the line of David, the town of Bethlehem, and a virgin birth. But outside of that, there was space for creativity, collaboration, and mystery… a manger, lowly shepherds, hosts of angels, Orient spiritual kings, a guiding star. Unexpected characters, interesting plot changes, and out-of-the-box thinking—that’s storytelling at its finest! In fact, most of the plot was so unexpected and mysterious that a large percentage of people missed its unveiling! And sadly, I don’t know that it’s that different today. The older I get, the more mysterious Christ becomes. Several times the Bible mentions the ‘mystery of Christ’ in one wording or another. Christ is always about revealing Himself—making Himself known—in new ways. It brings Him pleasure when our eyes are open, our hearts are soft, and we find Him in the unexpected. Christ has hidden treasures and mysteries for you and me, including new facets of Himself, that are waiting to be found. When we uncover those mysteries, we actually find greater depths of understanding, love and wisdom. He wants to wow us, bring us joy, and remind us that He’s so much bigger (& smaller) than we think! Do you want to experience Christ in all His mystery and glory? Are you ready find Him in the unexpected? What will you have to leave behind in order to make space for mystery? Ask the Father to reveal the Son to you in new ways and get ready to go on a treasure hunt! There’s something about the pruning process that captivates me...we cut something that is clearly alive from its source and out of that scarred place bursts forth new life. It doesn’t seem to make much practical sense and yet I’ve seen it in action over and over again. I have limited gardening experience, but I do have a plethora of house plants, some of which are older than our kids. My Fiddle Leaf Fig tree, ‘Harry,’ is on its third major comeback in the the 16 years we’ve had him. This move to CA and the change of climate has introduced spider mites to a few of our household plants. Harry was tall and had large green dramatic leaves, but after the stupid bugs got him, he lost most of his leaves and was looking pretty pathetic. I thought this was the end but I treated him and reluctantly decided to prune his branches. I felt pretty ridiculous watering what looked like tall sticks in a huge a pot of soil for a few months, but in the last few weeks they’ve started to appear...tender shoots and buds of green bursting forth and opening up. What appeared dead is coming back to life! The design behind it is beyond me, I do that know any farmer will tell you that the pruning process is vital not only to the health of a tree, but to the bearing of fruit. That’s how it is for us too, sometimes we have to go into those places that have been infected or wounded and cut them away so that new life can burst forth. In fact, the Bible is actually pretty clear that nothing actually lives unless it has already been buried in the ground (yielded and surrendered). As we wait in expectancy for the gift of Jesus this season—new life in the form a baby—we can reflect and ask Spirit if there’s anything that needs pruning in our lives. Are there any areas we need to cut away so that new life can burst forth? In the last year, I’ve heard a few different pastors speak about Isaiah 54 in their sermons and every time I’ve read through it, it’s gripped my heart, probably because I have so many close close friends and family members that have—and are—struggling with fertility. While in the thick of despair, heartache, and shame, the barren woman in Isaiah is given the charge is to sing, rejoice, and expand her tent. Essentially she is told to lift her head, sing a joyful song, and prepare a nursery—without the confirmation of an actual pregnancy. She is then told that her home will be bursting at the seams, what an incredible promise! ‘Expand your tent’ is such an extraordinary—and challenging—charge. Making room for the miraculous before it becomes a reality may seem risky for the heart, but it's incredibly powerful in the spiritual realm. It’s a powerful act of faith that can help usher in the miraculous. After all, God’s redemption plan for his people began with not one, but TWO miraculous conceptions. Luke tells us about Mary’s supernatural conception AND the conception of Mary’s relative Elizabeth who had been labeled barren her whole life (Luke 1:36-37 - What’s more, your relative Elizabeth has become pregnant in her old age! People used to say she was barren, but she has conceived a son and is now in her sixth month. For the word of God will never fail). Yes, people said Elizabeth was barren, AND she conceived a son because “the word of God will never fail.” This concept of ‘expanding your tent’ applies to whatever promise you are holding onto from the Lord, but today I want to specifically encourage those who are weary from trying to conceive. I know three women whom I love dearly that are struggling to conceive and so today I pray and declare that each one of them will conceive, carry, and deliver a healthy baby (and the same for whomever else reads this and needs a fertility miracle). Who do you know that struggles with fertility that you can encourage and pray for? In what areas of life do you feel the prompting to ‘expand your tent’ and make room for the miraculous ahead of time? Today I was out doing some Christmas shopping and while I was waiting in the long zig-zagging line at Michaels, I had a great conversation with the lady in front of me. She complimented my sparkly aqua ball Christmas floral stems—I always gravitate towards the quirky stuff—and from there we were off...talking about art, photography, sculpting, AND we found out we attend the same church! On my drive home I thought about how I would have missed out on that pleasant interaction if I would have been on my phone. Yes I have a slew of people awaiting emails, responses from texts, and unchecked Instagram posts, but I would have missed out on the opportunity for face-to-face connection with the person right in front of me had my eyes been down. It’s so easy nowadays for our gaze to be down on the 5” screens we carry in our pockets or our purse. It’s also so easy to busy ourselves—out of comfort or habit—during downtime or waittime by averting our gaze and turning our focus inward by looking down. What about the Shepherds? I love thinking about this lowly group of men in the meadows and their angelic visitation. First it was a single angel and then a whole host of glowing angels in the sky praising the Lord. What a miraculous encounter! God chose to share the birth announcement of His Son with them because their gaze was up. They would have completely missed the interaction with Heaven—and the opportunity to be some of Jesus’ first visitors—had they been checking Instagram, Facebook, or texts. Yes, there’s a time and a place to get caught up with our ‘socials,’ but let’s be intentional to spend our waiting time this Christmas season connecting and getting social with the people around us, even if it’s the simple exchange of a smile or a sincere greeting. One of the biggest revelations in my faith over the last five years is the understanding of Holy Spirit. For 30 years I lived my life attending church and following God and Jesus without giving a second thought to the missing third of the Trinity (which I call ‘My Posse’). You don’t know what you don’t know, but now that I know, there’s no way I’d go back! Despite being talked about all throughout Scripture—especially in the New Testament—Spirit is often left out of the Church because it’s been labeled ‘messy’ or ‘unpredictable.’ Whether we acknowledge Spirit or not, it's present in our lives—whispering our names, speaking to us, guiding us, comforting us, and beckoning us into closer communion with the Divine. The more I learn to recognize Spirit’s ‘voice’ and feel the feelings I do when I’m prompted by its presence, the more I can look back and see that Spirit has been near all along as ‘gut’ or ‘intuition’ speaking to me and guiding me. Whether it was something big like moving to Uganda or something small like feeling prompted to buy a specific gift for a person that I would later find out has deep sentimental value of which I knew nothing about! So instead of listening to me ramble more, I want to encourage you to onto YouTube and search for the ‘Official Video of Speak to Me by Kari Jobe’ and listen to the song and then intentionally set aside some time to sit in silence with Spirit and ask to be spoken to...about your identity, your circumstance, your family, your future. Just soak in the presence of the Divine, feel wrapped in love, and be expectant to hear thoughts in your head or feel feelings in your heart. After all, the entire Christmas story is catalyzed by the Supernatural—God speaking to people through dreams and visions and angels. If God (the Trinity) is unchanging then of course He wants to speak to you today! Don’t miss out on the opportunity to be spoken to, I promise, it will be SO worth it...go listen to the song and then sit and listen! I would love to hear what you hear, comment below or send me a message! In this current season, one of the areas I’m being most challenged in is my grasp. Over and over these past couple of years I’ve had to continually choose to yield my expectations and my desire for control. In fact, the older I get, the more I learn that any area where I feel like I have control is actually a place that needs yielded. The loosening of my white-knuckled fists doesn’t come easy but I release because I know there is more and encountering that more is dependent on my palms being open—nothing impeding the flow of Life. One of the prominent Bible passages for me during the last few years has been the beginning of John 15 where Jesus talks about the vine and the branches. In order to bear fruit, a branch only has to remain connected to the vine. That’s it! Remain is ‘to continue to exist.’ Yep, I’m learning over and over that my life will be most fruitful when I yield and exist connected to the Life-Giver. Sometimes I actually visualize myself being connected to the Divine through a lifeline or an umbilical-type cord! It’s not about doing, striving, or grasping—these actions only impede the flow of life to my being—but about remaining. In what areas of life are you currently grasping? Where do you need to loosen your fists so Life can flow? What would it look like for you to both yield and remain in this current season? One of the things I love most about winter is cuddling up under a cozy blanket with a hot cup of something and a magazine or book (if there’s a fireplace nearby that’s even better)! There’s something so calming about being huddled up in the coziness of a soft blanket. In my mind I have this image of peace being a blanket that I cozy up under. When I pray for people, I’ll often pray that they are “blanketed in peace” or “covered in a blanket of peace.” It just makes sense to me that peace is a covering that we can cozily come under. Since coming to Redding, we’ve heard our Church leaders give us the charge over and over to be thermostats instead of thermometers. A thermometer has only one option—to absorb and read off the temperature of the surrounding atmosphere. A thermostat on the other hand actually influences the atmosphere—it sets the temperature. ‘Peace on Earth’ is a phrase that’s often used during the Christmas season. 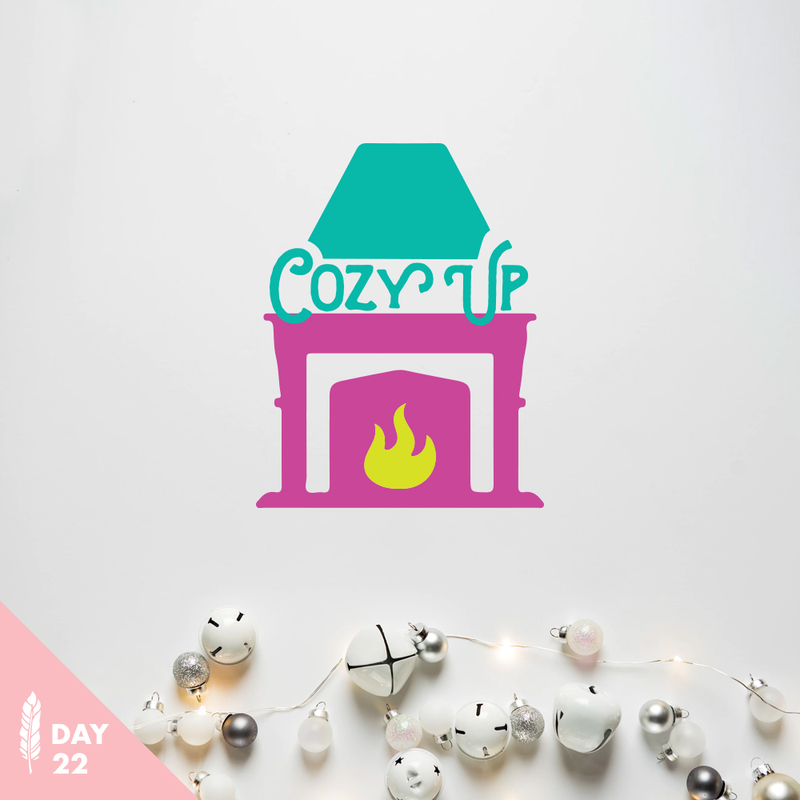 YES there are SO MANY places in our homes and in the world where peace is needed right now, AND what if cultivating peace on Earth actually starts as we set our thermostats to ‘cozy’ (peace) in our hearts first? Regardless of the yuck, stress, and anxiety that might be swirling, we actually have the Divine power to become the ones that set the temperature gauge to ‘peace.’ The bonus? Others in our home and our atmospheres get to soak in that cozy atmosphere we’ve cultivated too! In this current season, do you identify more with a thermometer or a thermostat? In what areas of life do you need to settle in and cozy up under a blanket of peace? Christmastime has the tendency to stir the emotional pot of our hearts. Despite being a joyous time, it’s not uncommon to get emotionally triggered in this season for a myriad of reasons. Last month I went to see a highly recommended Life Consultant (she has tons of life experience and some training in inner spiritual healing, but since she’s not legally a counselor, she has to call herself a Consultant). It was incredible! I think most women (myself included) are in need of granting ourselves permission to connect with our hearts and our emotions. It’s almost as if we’ve been conditioned to disconnect from our heart and the emotions that lie inside. Instead of validating and unpacking our emotions, we tend to push them down or take them at face value. My lovely Consultant gave me a permission slip to validate my heart! She taught me to push the pause button when I get triggered and to peel back the tough masking emotions (anger, anxiety, frustration) in order to find out what’s REALLY going on in my heart (sadness, loneliness, fear). Once I figure out what’s really going on, I can then begin to connect with my softer truer emotions—validating them, asking myself what I need, speaking truth to those places, and tenderly loving on myself (as if I were a child). It’s not easy to interrupt patterns that have been established for 35 years, but with heaps of grace and patience I’m getting better at validating my emotions and connecting with my heart. There’s so much going on in this Advent season and I want to be tender-hearted and present for every bit of it. What about you? Where are you feeling triggered by? What parts of your heart need validated? What tough emotions need to be pulled back so you can connect with the truer tender emotions underneath? I pass along to you the same permission slip that was gifted to me! The other day I was talking to a friend about the the magic of the Christmas season and how there’s a deeper awareness of the miraculous during this season. It’s true, it’s not uncommon to hear talk about ‘Christmas miracles’ in media and news reports. And then she said something that I’ve never given much thought to, she said, “I think we see the miraculous in this season because we spend the preceding month offering thanks.” Something lept inside of my heart...Yes!!! Her words resonated on such a deep level. Advent is all about preparing for the coming of the miraculous, God himself coming near as a precious babe—a love offering to the world. And when Jesus was grown, when it was time for His final communion with His Disciples, He would set the precedent in giving thanks to the Father for the bread and wine… gratitude preceding the miraculous. Gratitude alters the atmosphere in which it’s practiced—a heart, a home, a nation. The Kingdom feels more tangible in these places, like Heaven is reaching down—paving the way for the miraculous. I don’t know about you but I am SO ready to see Heaven flood earth with miraculous kisses. The Heavenlies are on the lookout for fertile gratitude-drenched soil that’s ready for some Christmas miracles. How amazing that as we wait in expectancy to celebrate His coming, posturing our hearts towards gratitude can usher in a greater measure of the miraculous! Bring it! Let’s soak our hearts and our homes with an unprecedented gratitude this Christmas season. I can’t wait to hear the testimonies come January! Right before we made the move from Colorado to California last year I was gifted a necklace from a dear friend with the word “Be” on it. She said she felt like it was an important word for my upcoming season in Redding. How can a simple two-letter word be so uncomfortable and challenging? Seriously, it almost makes me physically itchy—like an irritating clothing tag! The word gets thrown around a lot, and growing up in the Church, I’ve heard it used all the time, but do I really know what it is like to practice ‘Being?' 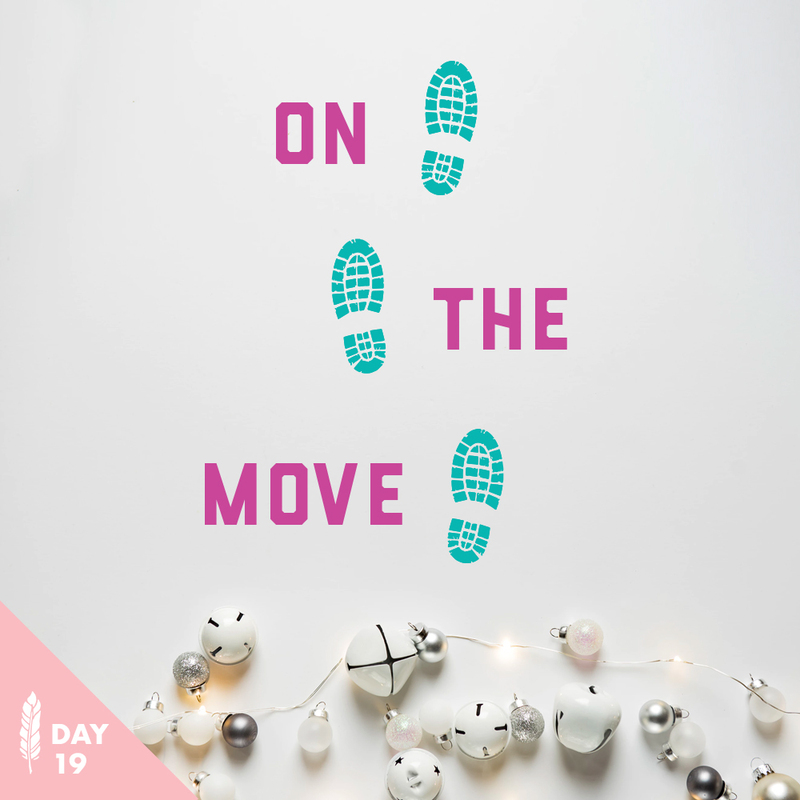 My friend was right, although this move has been amazing—especially for our kids—on a personal and professional level, this last year has been filled with lots of delays, setbacks, disappointments, and false alarms. As a Type-A, I like to get things done, make things happen, check things off, and feel accomplished. I am absolutely behind the entrepreneurial spirit and know the value of working hard for your dreams, but over and over this year I am learning that my Posse (aka Trinity) is concerned more about the posture of my heart. Am I grasping for control? Am I striving? Am I trying to prove something? Is my identity wrapped up in my doing or my accomplishments? These are the questions I ask myself daily. When I start to get anxious and feel myself grasping, I try to pull back, take deep breaths, and realign my mind with my heart. I remind myself of these three things: I am loved, I am secure, and God is a Good Father. I tell myself these things over and over until I start to believe them. As much as ‘be’ seems like it should be a state of mind, the word ‘be’ is actually a verb—it requires action. How are you actively practicing being in your life? What are you doing to align your mind with Truth? How are you living in the active/passive tension of ‘being’ in your current season? Advent marks the arrival of a notable person, thing, or event. In the Church, we celebrate Advent as the season leading up to Christmas, the arrival of Jesus—the Greatest Gift, the Fulfillment of Promise, and the miraculous God Incarnate. And yet in this season of waiting and anticipating the forthcoming, my heart is teetering in a tension of its own. The question I’ve been asking myself over and over is, “How do I live in the tension of the ‘not yet’ AND the ‘here now’?” There are dreams and promises of the ‘not yet’ in things I know to be God-breathed and Spirit-inspired AND in the waiting, I must find my peace in the ‘here now’ by being present, practicing gratitude, and choosing connection. I don’t have answers and honestly, I don’t know that I’m doing a great job, but I’ll give myself credit for being aware that my hope isn’t in the ‘not yet’ alone. Yes that hope keeps me going, AND in the meantime, I’m doing all I can to intentionally anchor my roots deep into the trust that in the ‘here now’ I am right where I need to be. He IS good in THIS season—without dependency on the forthcoming. This is my declaration and my mantra in this season. What about you? What tensions of the ‘not yet’ and ‘here now’ are you currently navigating? How can you anchor your faith in the hope that He is good in your season of waiting? We serve a God who will disrupt our limited understanding of reality in order to invade our hearts and minds and establish a new understanding of His character. What if I wrote an Advent collection to myself this year? What if I was able to explore the things that are stirring in my heart and pricking my spirit? I’ve been thinking a lot about the necessity of seasons and the role dormancy and death plays in life. In order for life to spring forth, something has to be buried or planted or laid down.